With both bands representing a combined total of more than 80 years of prog-rock, we wouldn’t blame you if you’re not totally up-to-speed on each group’s lineup. These days Styx features Tommy Shaw and James “JY” Young on vocals and guitars, Lawrence Gowan on vocals and keyboards and a rhythm section spotlighting Todd Sucherman on drums and bassist Ricky Phillips. There is also the possibility that original bassist Chuck Panozzo might make an appearance or two during the U.S. run. The Yes lineup for the “Progressive U.S. Tour” differs somewhat from past shows. While bassist/co-founder Chris Squire, guitarist Steve Howe, drummer Alan White and vocalist Benoit David are on board for this trip, there will not be a Wakeman in sight. While Oliver Wakeman is scheduled to play with the band later this year, the U.S. tour will have Yes reuniting with keyboardist Geoff Downes. YES—The Legendary, Grammy® Award winning prog-rock band that has defined many a generation -- will be on tour in support of their new album FLY FROM HERE on Frontiers Records releasing July 12th. YES features a lineup of guitarist Steve Howe, bassist Chris Squire, drummer Alan White, and lead singer Benoit David. YES will be reuniting with keyboard player Geoff Downes for this tour. 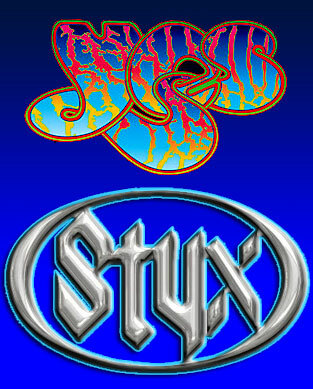 “We are excited to have STYX on tour with us. I consider them to be in the vein of YES and the cutting edge of prog-rock in America,” says YES founder/bassist Chris Squire. 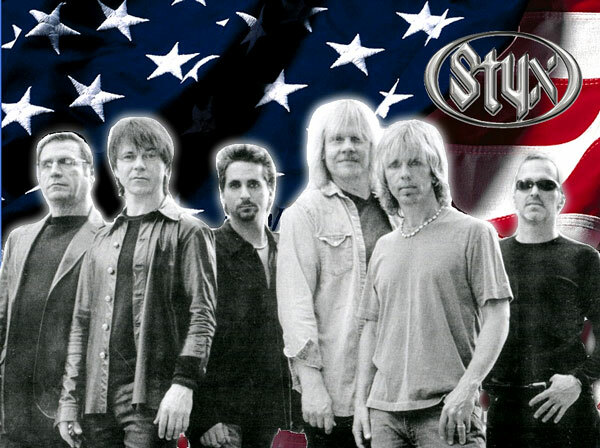 "When I first heard YES, I knew that the music world was forever changed,” says STYX singer/guitarist Tommy Shaw. “They took progressive rock to a place that had never been expressed in such an impressive yet accessible way. Who among you didn't make it a point to learn the acoustic guitar intro to ‘Roundabout?’ We're very excited to tour with them for the very first time." FLY FROM HERE is the first album YES has recorded for close to a decade and was produced by the legendary Trevor Horn in the spirit that YES was founded. The return of Horn along with the Maestro’s that make up YES has brought back the fluid freedom that their music’s ingenuity is best known for. YES holds a shrewd insight and creative vision that challenges audiences as they stretch the boundaries of music.